SOLANO COUNTY, Calif. (KGO) -- A man witnessed a dog getting struck in a hit-and-run accident on Saturday in Solano County, deputies said. The Good Samaritan stopped to check on the dog and called Sheriff's Animal Control for help. 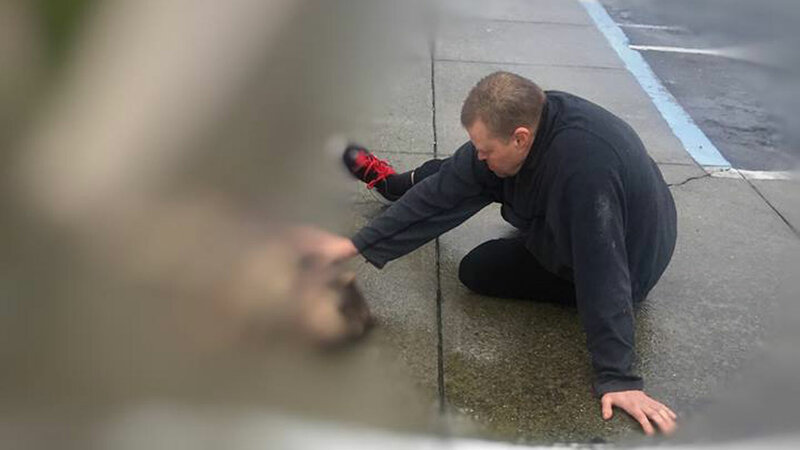 A deputy arrived and found Eric lying on the ground, in the rain comforting the injured dog. Deputies said Eric stayed by the dog's side until it was taken an emergency pet clinic. The Solano County Sheriff's Office said in a Facebook post that they "would like to thank Eric for not looking the other way and driving by. He went above and beyond to help this injured dog." The sheriff's office reported Saturday night that the dog had passed away.